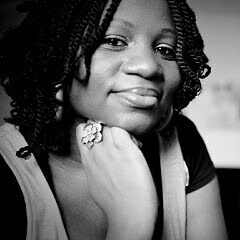 On Writing and Life: Interview with Ogo Ogbata - Author of "Egg-Larva-Pupa-Woman"
Interview with Ogo Ogbata - Author of "Egg-Larva-Pupa-Woman"
I’m a writer, speaker and consultant who’s passionate about empowering people to make the most of their creative talent and overall potential. When I’m not writing fiction or non-fiction, I run a company called ‘Creativity and Sense LLC’. We help professional individuals and organisations (for instance, businesses and communities) get to the next level by combining their creativity with business sense. Although I live in the UK, I am from Enugu State in Nigeria. Egg-Larva-Pupa-Woman is my first novel. Since the age of 4 or so. I still remember penning very sketchy stories whilst in nursery school. Tell us a bit about the book; Egg-Larva-Pupa-Woman. 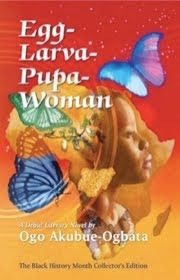 Egg-Larva-Pupa-Woman is an inspirational, albeit heart-wrenching tale, of a remarkable young woman who dares to defy the odds (economically, emotionally and socially) to become who she is destined to be. 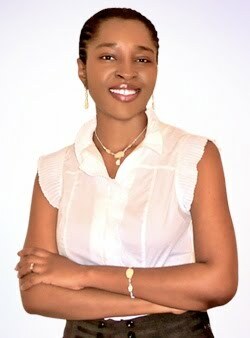 This woman’s incredible story is juxtaposed with the struggles of her motherland – Nigeria (a personality that is also striving to rise above her past and achieve greatness). Do they have what it takes to succeed? Well, you’ll have to read the book to ﬁnd out! I enjoy stories about people who refuse to be victims and Egg-Larva-Pupa-Woman has that in abundance. The ‘survival’ theme is topical because we live in challenging times and people want to be inspired and empowered to overcome their obstacles. I was inspired (by the ongoing debate over Nigeria’s validity and survival prospects) to create an intimate portrait of a woman who defies all odds economically, emotionally and socially - a woman who is sculpted by the unpleasant circumstances of life into a breathing work of art. Of recent, there have not been many dynamic, high achieving, female characters in African fiction and we need those iconic, fully fleshed out characters to inspire us as a people. The protagonist, Nkiru, meets the need for such a character. She is kind, witty, enterprising and beautiful but most of all she is a survivor. This determined disposition is what Africa and the world needs now. Who are your favourite characters in the book? 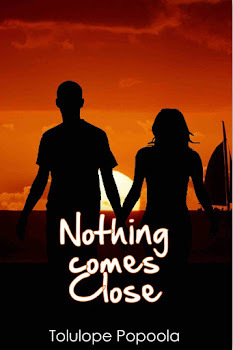 I have so many favourite characters in this novel, especially the protagonist, Nkiru, who displays such strength, mystery and complexity. Other favourite characters are: Ejimonye (who shows ‘the African husband’ in a refreshingly different light), Dubem (for being hilariously vile), Nonso (for her childlike vulnerability), Eze Nwodo (for his larger than life persona) and Naomi (because she became the mirror image the protagonist had to confront in the end...). Killing off one of the characters left me feeling gutted for days. It was also difficult to move on after I’d ﬁnished writing the story because I’d had such a delightful experience. I kept thinking about the characters and wishing I could re-enter their world. I don’t think I will be writing a sequel though. I’ve wanted to write a novel titled Egg-Larva-Pupa-Woman for ages! I was intrigued by the metamorphosis that butterﬂies undergo, so my curious observations inspired the title which then birthed the story - perhaps subconsciously over a number of years. Did you have to do a lot of research to fill in the background details? I certainly carried out a lot of research for Egg-Larva-Pupa-Woman and drew from the well of personal and collective experience too. I researched the book intensely by raiding historical archives, talking to helpful people and examining photographs. Reading works set in the colonial era helped me capture the tempo of the times. The Nigerian High Commission in London was helpful. Imagination filled in the gaps. What response have you received from readers of the book so far? The response has been heart-warming, to say the least. I’ve had people writing to tell me that they stayed up until four ‘o’ clock in the morning (during a working week!) just because they simply couldn’t put the book down. A deaconess told me that she skipped church once because she was so engrossed in the story. Now, I don’t want people skipping church but there you go... Egg-Larva-Pupa-Woman is getting people to think and rethink Nigeria as well as confront the challenges in their own lives. What are the challenges you encountered in writing and publishing the book? The biggest challenge was probably getting out of my own way. Indeed, some of the challenges we face whilst pursuing our goals are self sponsored. When we’re really ready to make something happen, we buckle down and ‘make it happen’ against all odds. What lesson(s) would you want readers to take away from the book? I hope my readers will be inspired to defy the odds in their own lives - economically, emotionally and socially. Although the essential theme that cuts through the story is 'defiance' several topical issues are explored in Egg-Larva-Pupa-Woman, for instance, love and loss, mother-daughter relationships, domestic violence, child labour, political corruption and entrepreneurship. So I believe that people from all strata of society will ﬁnd a topic or two that will resonate with them and be inspired to facilitate change. I don’t have any writing heroes in particular. I admire a huge host of writers for all different reasons. As a child I read a great deal of the African Writers Series - works by Flora Nwapa, Buchi Emecheta, Chinua Achebe, Peter Abrahams and many more. What skills have been particularly helpful in your writing? I enjoyed doing the research for Egg-Larva-Pupa-Woman, working closely with the art professor who designed the stunning book cover and even playing my part to get the word out about the debut novel. Creativity and business sense should of necessity go hand in hand so I want to take hold of my destiny by being proactive about the business side of writing. I learnt how pleasurable writing can be! I’ve been writing my whole life and never had so much fun as I did with this novel. It was an absolute joy and the story literarily ﬂowed out of my ﬁngertips. I would encourage everyone who has a creative talent not to bury it but rather to hone and share it with others. What are your views about the current changes in the publishing industry? Change is a good thing - it’s not always easy to face but there are lessons to learn when change comes knocking. I think that the writers who will thrive henceforth are those who know how to put their business hat on when necessary - writers who are not too ‘artistic’ to get involved with marketing or too busy to get out there and build relationships with others in the industry. Asides the writing, I deliver training, coaching and consulting services to individuals and organisations that want to maximise their creative talents and overall potential. I do public speaking both on writing speciﬁc topics as well as empowering topics suited to women, ethnic/community, corporate and business audiences. My core specialty is helping professional individuals and organisations to identify their creative talents and fulfil their unique purpose. What are your current projects? Are you working on your next book? On the 22nd of July, I am hosting ‘Inspiration for Change’ in the City of London! ‘Inspiration for Change’ is basically a series of empowering events inspired by the novel Egg-Larva-Pupa-Woman. I plan to take this event to Nigeria and other parts of the world in due course. To find out more, please visit: http://www.elpwoman.com/change - I am also plotting away at the next novel! What advice can you give to other aspiring authors? Life is short and talent is a precious thing to waste. Where can we get a copy of the book? Where can find out more about you and your work? Thanks for doing this interview Ogo, and I wish you all the very best in future. This is a great interview, well done to both of you! Tolu, great interview. I've certainly heard of the book and I've been reading reviews on it. 'Will certainly get my copy this week. Keep up the good work FG! So proud of you!!! I would appreciate if a staff member here at writingmystories.blogspot.com could post it.